The Great Lakes-St. Lawrence River Basin Water Resources Compact (known informally as the Great Lakes Compact, “Compact”) is an interstate regulatory contract between Illinois, Indiana, Michigan, Minnesota, New York, Ohio, Pennsylvania, and Wisconsin, which governs all withdrawals and diversions of water out of the Great Lakes drainage basin. The Compact was passed by the legislatures of all eight states and was consented to by the U.S. Congress and President Bush in 2008. 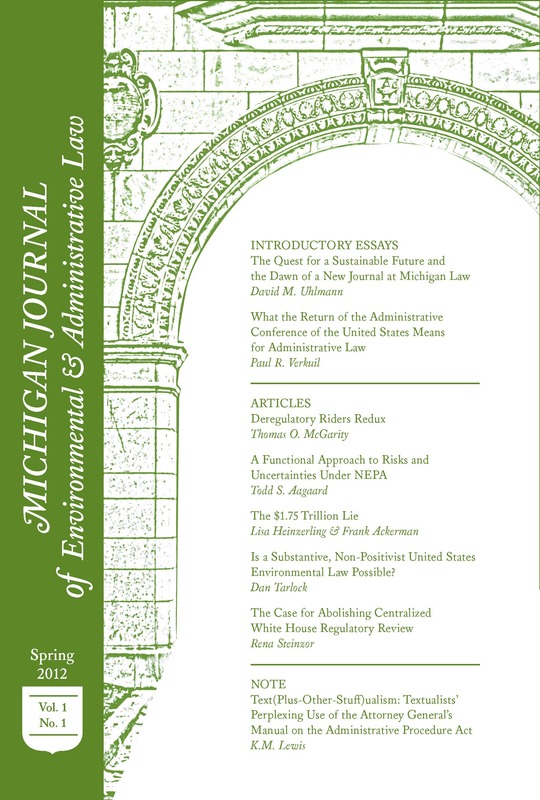 At its enactment in 2008, the Compact was hailed as a key regulatory tool for protecting the waters of the Great Lakes. The Compact is intended to protect the social, economic, and ecological integrity of the Great Lakes region by, among other actions, prohibiting all diversions of water out of the drainage basin except in select circumstances. One such circumstance is a diversion to “any incorporated city, town or the equivalent thereof that is located outside the Basin but wholly within a County that lies partly within the Basin,” otherwise known as a community within a straddling county. The Compact, however, restricts which of these communities are eligible for a diversion to only those “without adequate supplies of potable water” and for which “[t]here is no reasonable water supply alternative . . . including conservation of existing water supplies.” The Compact further requires that such a community diversion be used for Public Water Supply Purposes , meaning it primarily serves residential customers “through a physically connected system of treatment, storage, and distribution.” The governors of all eight states, collective known as the Compact Council, must unanimously consent to a diversion. Once the states approve a diversion, the Compact requires them to “monitor the implementation [of the diversion] and take all necessary enforcement actions” to ensure it complies with the Compact. The Great Lakes Compact leaves several factors of the diversion application process uncertain. First, the Compact does not explicitly limit the geographic area a community may request to be served by a diversion. Second, the Compact does not set limitations on the amount of water a community may request for its diversion, other than requiring that the diversion “will be limited to quantities that are considered reasonable for the purposes for which it is proposed.” Third, the Compact does not specify how the Compact Council should monitor the implementation of the diversion agreement, or what actions the Compact Council member states may take to force a violating community to comply with the Compact. Because the Compact is silent on these issues, the state and the Compact Council must determine how for themselves how they wish to handle these factors. These factors also have great potential to impact the Compact’s goal of protecting the Great Lakes, as became clear when the state of Wisconsin received the first diversion request under the Compact from the City of Waukesha. The City of Waukesha (Waukesha) is located just outside the boundary of the Lake Michigan drainage basin in Waukesha County, Wisconsin. Since the 1980s, Waukesha has struggled with radium contamination in the deep aquifer it taps for drinking water, resulting in a 2009 legal agreement with the Wisconsin Department of Natural Resources in which it committed to meet state and federal radium standards in its drinking water by June of 2018. As a part of its efforts to comply with the court agreement, the city submitted an application for a diversion of Lake Michigan water in 2013. In the application, Waukesha set the geographic area to be served by the diversion as its planned Water Supply Service Area, which included land outside of the city’s existing water system where it planned for future expansion of business and population. It also used this anticipated future growth as a justification for requesting more water than it needed to satisfy existing demand. As already discussed, the Compact provides no explicit guidance on how the states should address these two components of an application. The Compact Council had the opportunity to determine for itself what limits it wished to place on Waukesha’s requested service area and water supply. Through its review process, the Compact Council was also given an opportunity to determine what enforcement tools it could access to ensure Waukesha complied with the substantive requirements of any diversion agreement. Specifically, the Compact Council was free to set its own methods for monitoring Waukesha’s diversion and enforcing the Compact’s requirements against Waukesha should it violate them. The Compact Council also made decisions regarding the methods for monitoring and enforcing the Compact. During deliberations over Waukesha’s application, Minnesota included an amendment which emphasized that individual states or the Compact Council as a group may take enforcement actions against Waukesha if it fails to comply with the Compact and the diversion agreement. While this amendment does not define what those actions may entail, it emphasizes that all member states have an legal interest in enforcing the Compact, meaning Waukesha will be answerable not just to Wisconsin, but to all eight member states. Michigan also included an amendment which required the city to submit to performance audits with open operating records on thirty days advance notice by any Council state. Absent guidance in the Compact on how to approach these issues, these amendments represent the Council’s attempt to define the tools available for monitoring and enforcing Waukesha’s compliance with the Compact. It remains to be seen how well the Compact Council employs its enforcement and monitoring tools, and if the limitations it imposed on Waukesha’s diversion meet the needs of both the city and the Great Lakes basin. Furthermore, these solutions are only potentially precedential. The Compact Council states may have intended these solutions to be used only in this application; it is also possible that future state governors may choose not to employ these solutions, regardless of their workability, in other applications. Should this diversion succeed, however, these solutions will be strong precedential guideposts for future diversion applicants and Compact Council state governments. *Nash Hall is a Junior Editor on MJEAL. He can be reached at nashhall@umich.edu. Wis. Dep’t Nat. Res., Great Lakes Compact, Wis. Dep’t Nat. Res. (May 20, 2015), http://dnr.wi.gov/topic/greatlakes/compact.html. Great Lakes—St. Lawrence River Basin Water Resources Compact, Pub. L. No. 110-342, 122 Stat. 3739 (2008). Stipulation and Order for Judgment, State v. City of Waukesha, No. 2009CX000004 (Wis. Cir. Ct. Waukesha Cnty. Apr. 9, 2009). Kaye LaFond, Waukesha Presses First Test of Great Lakes Water Compact, Circle of Blue (July 9, 2014), http://www.circleofblue.org/2014/world/waukesha-presses-first-test-great-lakes-water-compact/. Don Behm, Great Lakes Officials: Waukesha’s Water Request Faces Challenges, Milwaukee J. Sentinel (Feb. 17, 2016), http://archive.jsonline.com/news/statepolitics/officials-of-great-lakes-states-provinces-tour-waukesha-b99670772z1-369121891.html. See Noah Hall, Waukesha Great Lakes Water Diversion Proposal Strongly Opposed, Great Lakes L. Blog (Apr. 6, 2016), http://www.greatlakeslaw.org/blog/2016/04/waukesha-great-lakes-water-diversion-proposal-strongly-opposed.html. Id. ; Codi Kozacek, Waukesha Awaits Great Lakes Water Diversion Decision, Circle of Blue (June 20, 2016), http://www.circleofblue.org/2016/great-lakes/waukesha-awaits-great-lakes-water-diversion-decision/. Don Behm, Great Lakes Governors Approve Waukesha Water Request, Milwaukee J. Sentinel (June 21, 2016), http://archive.jsonline.com/news/waukesha/decision-day-arrives-for-waukeshas-lake-michigan-water-request-b99747111z1-383762921.html. Great Lakes—St. Lawrence River Basin Water Resources Compact § 1.3(1)(d).